Client : Kürk İnşaat Ltd. Şti. 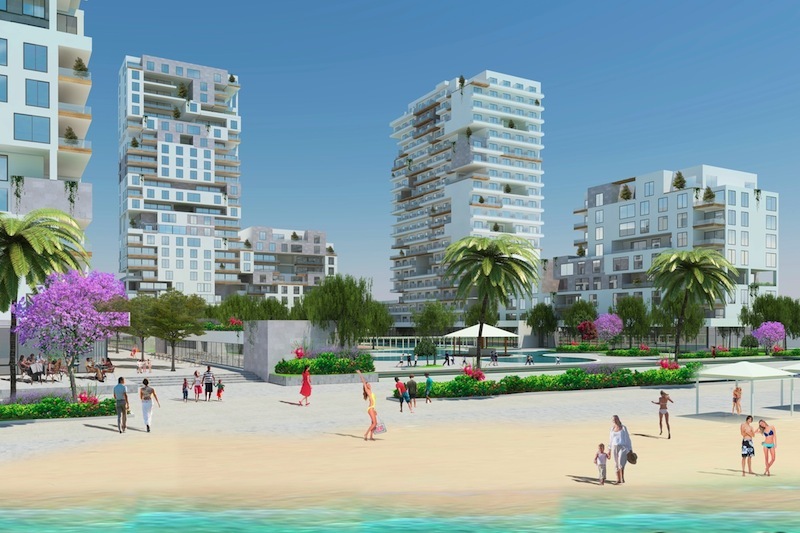 The site of this development is in Mersin, on the Mediterranean Coast of Turkey, within the city of Mersin, an important port and a touristic center. 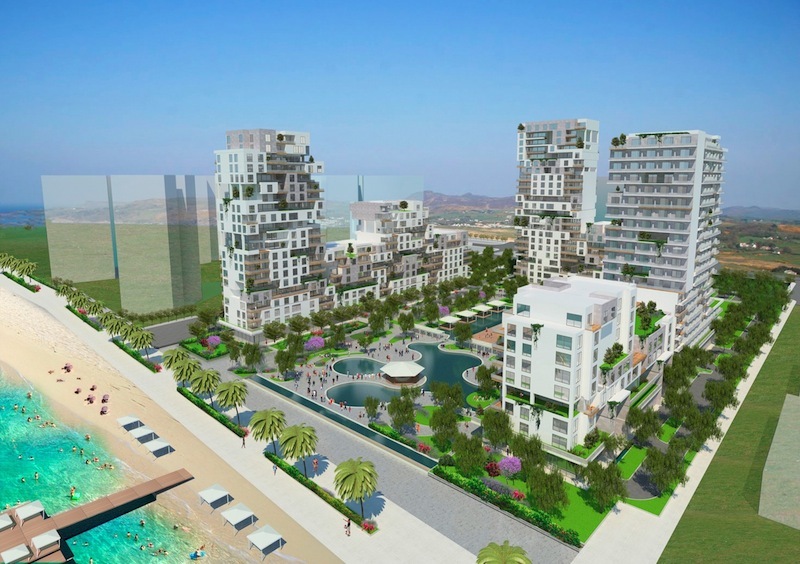 The program required that the density be 2.0 and with a building area around 75,000 m2, excluding underground parking. It was also important that the hotel be situated on the east side of the site, while the west side was to be reserved for the residences. 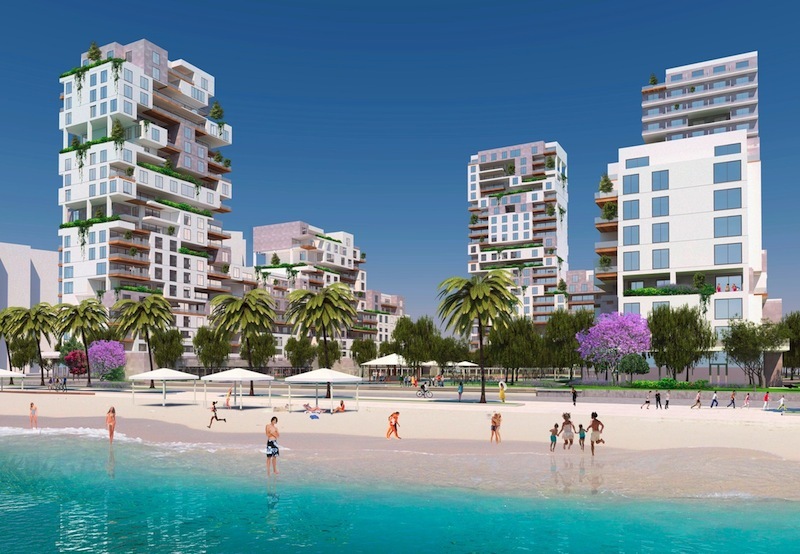 The residences were to be apart hotels, as part of the proposed hotel complex. 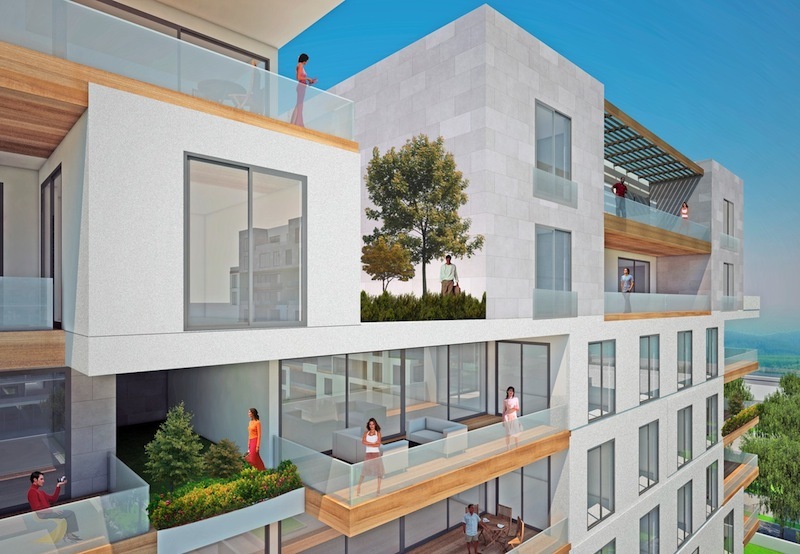 The aparts were to range from 450 m2 to 100 m2 flats. The hotel was to be a 5 star hotel, with 300 rooms. 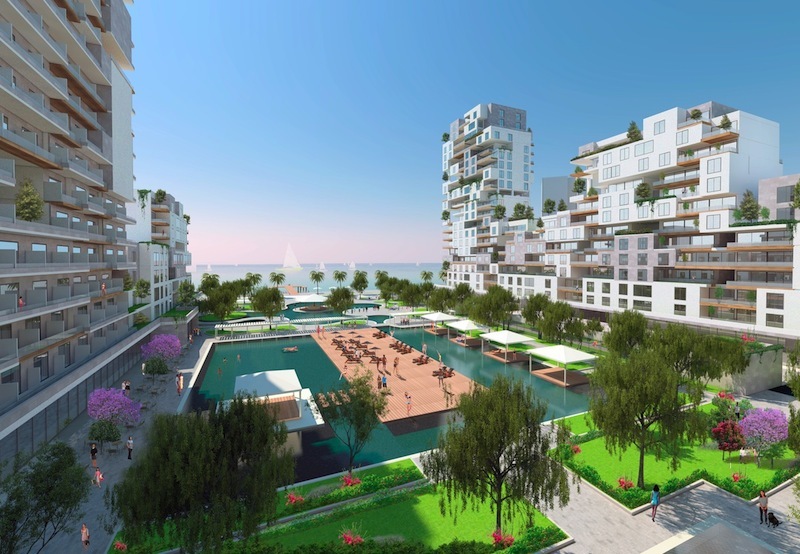 In the project, a perimeter block surrounding the site was conceived and the green areas, open recreation facilities including pools and large water surfaces, were planned in the center of the U-shaped development. A horizontal block, containing all the service facilities, entrances and meeting rooms, etc., binds the upper blocks which express themselves as independent blocks, while being part of the whole complex.